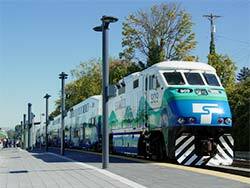 Washington state’s Central Puget Sound Regional Transit Authority – better known as Sound Transit – is anything but sound in fiscal terms. Formed in Seattle’s go-go public-construction fever-years by the King, Pierce and Snohomish county councils in 1996, it made unfulfilled promises. Operating commuter and light rail express bus services, it continually wants to expand. But it’s at the expense of short voter memories. Why was Sound Transit possible? Let’s revisit the giddy year of 1995 in Seattle. Seattle’s pro teams played in the Kingdome. In football, the Seahawks, eager to return to winning seasons in the National Football League, hired Dennis Erickson as coach. Coach Erickson had a stellar college background. In six years, he led the Miami Hurricane to a 63-9 record and two national championships. In his first eight games in Seattle, the Seahawks went 6-2. The rabid Seahawk fans had reason to hope. In major league baseball, the Mariners finished the season at 79-66, and then tied the California Angels for first place in the American League West. In an emotional one-game tie-breaker, the Mariners clobbered the Angels, 9-1. Despite losing the first two games in the next playoff series with the New York Yankees, the Mariners won the series on Edgar Martinez’ double driving home Ken Griffey, Jr. for the winning run in the 11th inning of the deciding game. Seattle fans got baseball fever, even though the team lost to the Cleveland Indians in the American League Championship Series. Pitcher Randy Johnson was later named winner of the prestigious Cy Young Award. The Seattle Supersonics finished their National Basketball Association season with a whopping 57-25 record. But they lost in the first round of the playoffs to the Los Angeles Lakers. Community spirit was sky-high – largely from the success of Seattle’s pro teams. The Mariners, Seahawks and their fans began to lobby for new stadiums. The Washington State Legislature soon went into special session and came up with a public funding package. The plan was to build what was to become Safeco Field near the Kingdome. Later, CenturyLink Field was built for football. The multi-purpose Kingdome was operated by King County, which was demolished in 2000 to make way for the football stadium. But as with the typical inefficiency in any government project, the bond issues to build and repair the Kingdome weren’t scheduled to be paid off until 2016. To capitalize during this period of euphoria, the public sector’s Sound Transit announced its strategy for a ballot measure, Sound Move plan, it’s “Ten-Year Regional Transit System Plan.” For riders, the promised the system would provide 107,000 trips per weekday by 2010. But it every year it missed the mark. In 2013, Sound Transit missed its ridership goal by 70 percent. WPC (www.washingtonpolicy.org) provides a terrific service and is self-described as an “independent, non-partisan think tank promoting sound public policy based on free-market solutions.” Often, it does a better of reporting and analyzing important events and trends in Washington than the news media. “Sound Transit head Joni Earl proudly highlights June 11 as a banner day, with 38,000 boardings, however on that day a Mariner game and a World Cup qualifier soccer match were both being played in SODO, so it wasn’t a typical day,” Mr. Pishue added. “Understandably, Sound Transit officials are putting the best face possible on their low ridership numbers, but a more accurate picture comes from looking at what they promised the public in the first place,” he observed. Taxpayers were originally promised a great plan and paid billions for it. Worse, public funds continue to bail out Sound Transit. It’s past time for voters to get their money’s worth. Washington Taxpayers Lose Economic Freedoms under Ruling Class, Inslee – Washington state’s ruling class was at it again in March 2013. After less than four months in office, Gov. Jay Inslee has already violated a major campaign promise he made on taxes to get elected in 2012. Why Health-Insurance Rates Increasing and Policyholders Losing Coverage in WA – Two promises of ObamaCare are proving to be false in Washington state, says leading think tank. Hundreds of thousands of Washington state residents – individual policyholders and small group insurance members – are learning two promises of ObamaCare are false. Do Entrepreneurs Really Feel it’s National Small Business Week? – The 5oth anniversary of anything is big deal. That would normally be the case for entrepreneurs – the country’s leading job creators – in the current National Small Business Week (June 17 to 21, 2013). But governments’ lip service to small business is underwhelming.